Embark on an unforgettable AMI adventure on the Anna Maria Princess paddle wheel boat complete with live music! 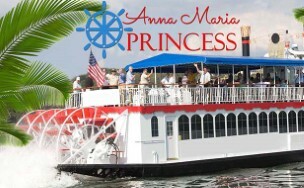 The Anna Maria Princess departs on two daily cruises from the Bradenton Beach Marina. The Anna Maria Princess is the only paddle wheel boat sailing the waters of AMI and Longboat Key. With two decks, the Anna Maria Princess can accommodate up to 80 guests for our regular daily cruises and a 125-guests capacity for special occasion charters, private parties, weddings and other events. The lower enclosed deck is climate-controlled with air conditioning and heating. The Anna Maria Princess uses diesel engines, which are much safer than steam engines, to turn its massive twin paddle wheels. So come on aboard!! The Anna Maria Princess will make your island visit or special occasion a memorable one on the waterways of AMI and Longboat Key! 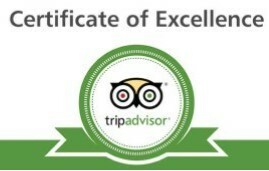 Our experienced staff is ready to assist you with planning your cruise!